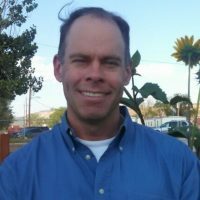 Con Alma Health Foundation has named Tom Faber, a pediatrician and clinical director at Zuni Indian Health Service Hospital, as a health hero for collaborating with community members to increase opportunities for physical activity and healthy food options. Together community members are transforming what it means to grow up in Zuni, a pueblo of about 8,000 people in the northwest corner of New Mexico. For the past decade we have recognized people who make incredible contributions to improve the health of their community, and contributed to the nonprofit of their choice. This year Con Alma will donate $1,000 to the Zuni Youth Enrichment Project on behalf of Faber. Joseph Claunch, co-director of Zuni Youth Enrichment Project, and Jason Kurland, Diabetes director of Zuni Indian Health Service Hospital, both nominated Faber for the hero award. Ten years ago Dr. Faber founded the nonprofit organization, Zuni Youth Enrichment Project, which now serves more than 600 adolescents each year through summer camps, sports leagues, mentorship, youth leadership, cultural education, gardening, and food sovereignty. “He understood that the foundation for a healthy Zuni community could be realized by connecting youth with caring, competent adults, challenging youth within a nurturing environment and facilitating a connection to Zuni traditions,” wrote Kurland in his nomination. Dr. Faber, who moved to Zuni Pueblo in 2006, began partnering with community organizations to provide wrap-around services to his pediatric patients. After building relationships, he invited tribal programs, the public school district, government agencies and local businesses to develop a coalition, officially recognized by the Tribal Council, that works together to enhance local healthy food options and increase physical activity opportunities. This year people across New Mexico nominated 56 individuals as possible heroes, including volunteers, doctors, nurses, nonprofit directors, health workers, community organizers and advocates for minority and underserved populations. Past heroes include Ophelia Reeder, facilitator of the McKinley County Health Council; Mary Stoecker, retired health promotion specialist for the New Mexico Department of Health in Silver City; Doug Meiklejohn, director of New Mexico Environmental Law Center in Santa Fe and Lauren Reichelt, director of Rio Arriba County’s Health and Human Services Department.